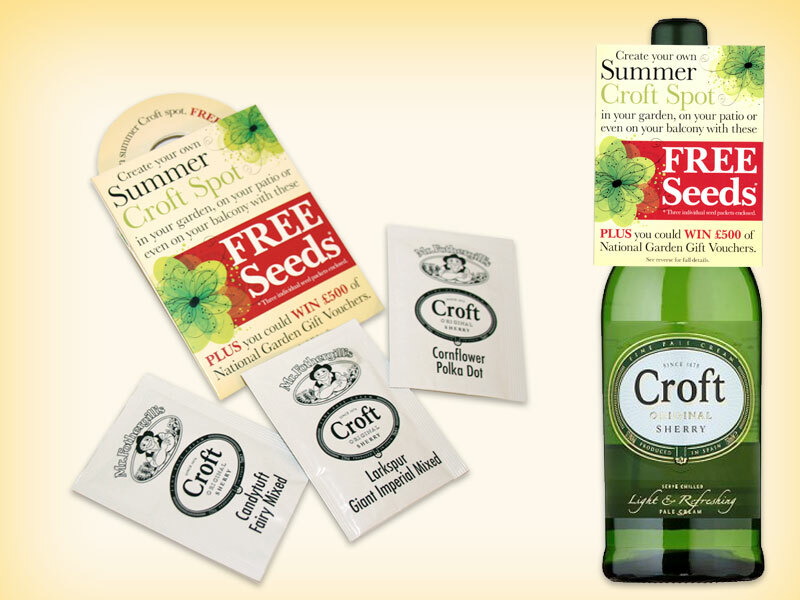 The brief was to supply seed packets to be attached to Croft Original bottles and for customers to subsequently create their own ‘Croft Spot’. We supplied three printed foil packs containing 3 flower varieties and we packed these into a bottle top pack. In conjunction with this we also took part in reciprocal web activity, this successfully led to a second promotion, this time, to create a “Croft Plot” to grow vegetables. ©2015-2016 Copyright Mr Fothergill's Seeds Ltd, their suppliers and licensors. All rights reserved.